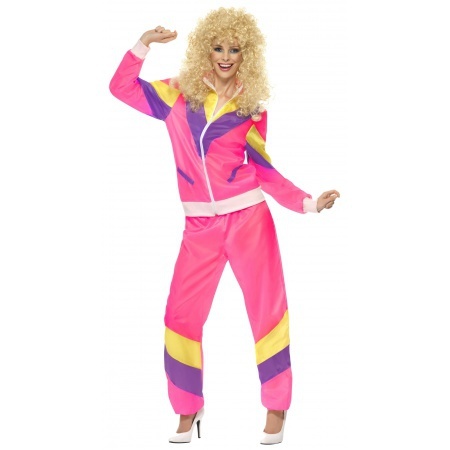 This womens 80s tracksuit costume includes a pink zip-front jacket with contrasting stripes and matching pants. 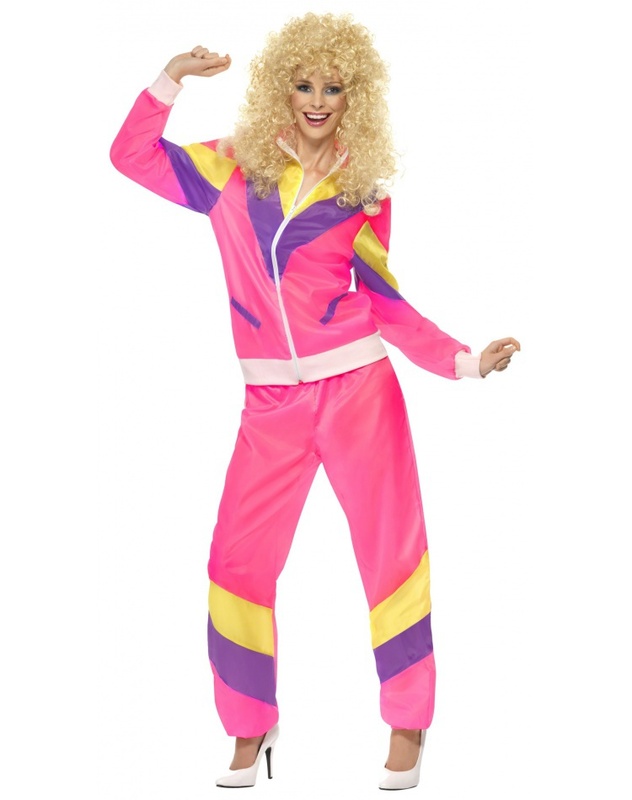 The 80s tracksuit costume comes in adult sizes Small, Medium, Large. 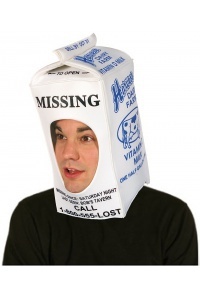 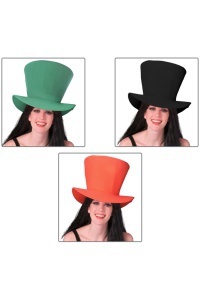 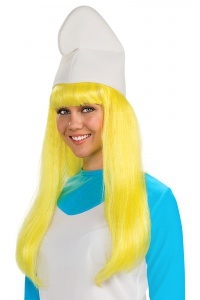 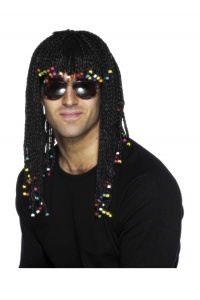 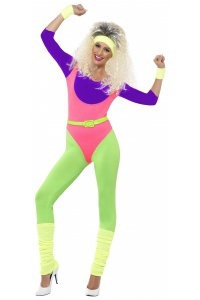 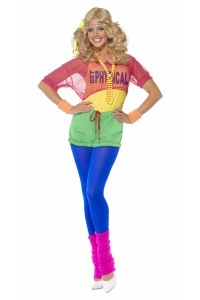 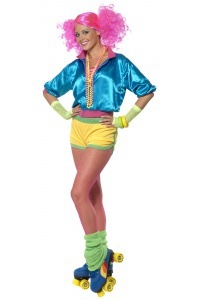 The 80s wig for women is available separately from this funny eighties costume.